Felice Cusano studied at the S.Pietro a Maiella Conservatory of Naples under M° Giovanni Leone and perfected his technique in Munich with M° Otto Buechner and M° Franz Beyer and at the Accademia Chigiana of Siena under FrancoGulli. 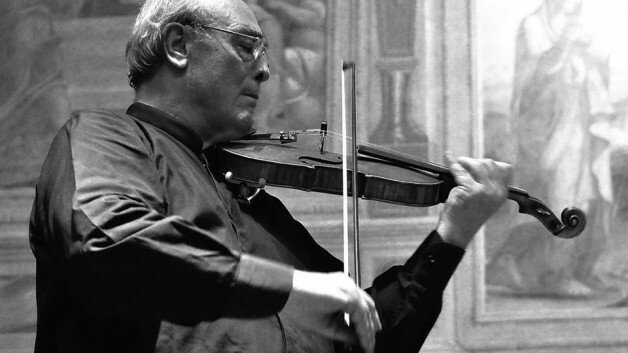 In 1972, he was the outright winner of the ‘Auditorium-Giovani interpreti’ National Contest organized by the RAI. For years, he has been a member of prestigious groups such as the Sestetto Chigiano, i Virtuosi di Roma and the Soloists Italiani with whom he has performed as a soloist in some of the major theatres of the world. He has played with prestigious Italian orchestras (Teatro alla Scala of Milan-RAI of Milano, Rome and Turin, Fenice of Venice, Pomeriggi Musicali of Milan, Haydn Orchestra of Bolzano, etc.) reaping great success with both critics and the public. Eminent musicians of our age such as William Walton, Bruno Bettinelli (who dedicated his concert for violin and orchestra to him) and CarloGalante hold him in great consideration. He is particularly involved in chamber music. His recording of Mendelssohn’s Octet and Trio was reviewed by the well-known US magazine ‘Fanfare’ as one of the best available on the market. He has recorded for Erato, RCA and Dynamic.